When prominent politician Davida Grayson is found murdered in her office, a few days after being egged outside of the state capitol, it is up to detectives Will Barnes and Amanda Isis to determine whether her murder was political (Davida was an openly gay politician, campaigning for a controversial stem cell research bill) or personal (Davida's lover was a volatile drunk). 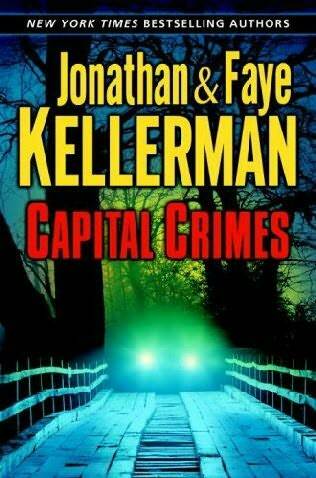 I've always preferred Faye Kellerman's (and I am assuming this story is hers, given the style of writing and the cameo appearances by her characters Peter Decker and Marge Dunn) style of writing to that of Jonathan Kellerman's, even though I am more interested in his novels than hers. I enjoyed the story. The mystery wasn't too complicated but it wasn't too simple either. The reveal was surprising (which is nothing new for me, since I am always going to be bad at figuring these things out) but I thought it was believable. Given how much of the story was spent with detective Barnes concentrating on one suspect, I think that maybe the first chapter - following Davida - shouldn't have included her phone conversation with that suspect, because we knew it was as innocent as the the police were told. If this person was supposed to be someone we suspected of killing Davida, more work was needed to make them seem suspicious. Would Barnes really be allowed to work a case when so many of the suspects / witnesses were people he had gone to school with? Another drawback was that I didn't care much for any of the characters (detectives to victim to family and friends of victim). It's probably harder in a short story than a novel, but the characters were all just sort of there for me. Jack Jeffries was a rock legend whose career had faltered years ago, but who had been working towards a comeback. With a CD in the works, Jeffries overcomes his fear of flying (with the help of his therapist Alex Delaware) to fly to Nashville to perform at a benefit concert. Unfortunately, it all comes crashing down, when his body is found with his throat slashed open the night before the concert. Now it is up to Nashville detectives Baker Southerby and Lamar Van Gundy to solve the biggest case of their careers. It was kind of funny to read about Alex Delaware being briefly considered a suspect in Jeffries' murder, because there was no way that Jonathan Kellerman would have Alex Delaware actually be arrested (or even seriously suspected for more than a couple of chapters) for the crime. Although if he ever wanted to stop writing the books, it might be an interesting way to end the series. The mystery was an interesting one. It wasn't too complicated (as I sometimes find Jonathan Kellerman's stories to be) with a satisfactory and believable ending. I thought too much time was spent on the backstory of Baker Southerby. He's a new character that I don't care all that much about, so I didn't need a whole chapter spent on his childhood (especially after the crime had already been solved), though I may be bitter because I know more about this (potentially) one time character's past than I know about Rick Silverman after 24 Alex Delaware novels.